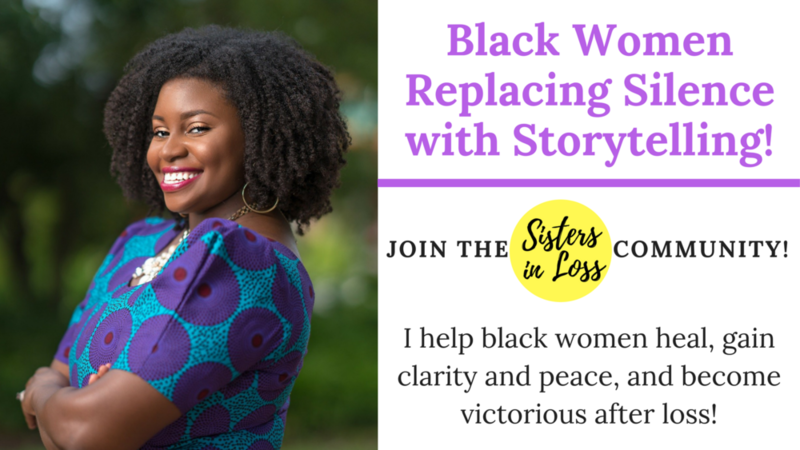 My name is Erica M. McAfee and I help black women gain clarity and peace no matter life's challenges, circumstances, and hurts. I love encouraging those who have experienced a Miscarriage, Infant Loss, or Infertility that they are not alone, and empowering them to tell their stories to inspire others. Join me weekly here as share stories of Grief & Pregnancy Loss on the Sisters in Loss Podcast, and my journey as a Special Needs Mom. Losing a baby though miscarriage, elective termination, stillbirth, childbirth, after a NICU stay, SIDS, or any other time is, without a doubt, one of the most difficult experiences that you will ever endure. It is a tragic and drastic experience that thousands of people face everyday, not knowing how to navigate these feelings of despair. In the US, according to the NIH Black Women are twice as likely than White Women to suffer a late pregnancy loss or stillbirth. This means 1 out of 4 women have experienced a loss of some kind. Maybe its a friend of yours, a relative, a church member, or maybe it was you. I want you to know that there are other women out here like you and I. We need a safe place and community to help navigate these feelings of grief and loss, and postpartum distress. Ready to share your story? Click Here! I am here to help you navigate those feelings by giving you a safe community to share your Grief & Loss story. Allow me to help you Share your Story because it needs to be told to inspire others to keep seeking God to grant them the desires of their hearts, a child.